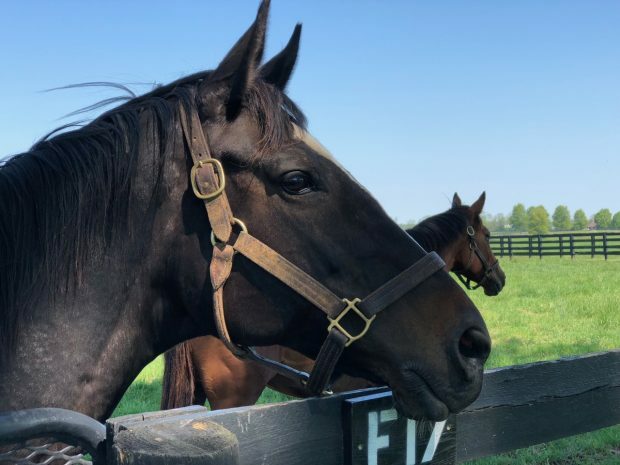 Zenyatta at Lane’s End, early May 2018. Photo courtesy of Alys Emson/Lane’s End Farm. Regretfully, we have to confirm that Zenyatta aborted her pregnancy mid-April. The cause of the abortion was found to be a low grade placentitis that triggered premature placental separation. Zenyatta has bounced back well and is enjoying the spring sunshine in her paddock. The staff at Lane’s End Farm continues to give Zenyatta the best care possible, and for that we are incredibly grateful. Fans, we thank each of you for your love and support. Love and hugs to all. Photo courtesy of Alys Emson/Lane’s End Farm. Well, I think her owners seriously need to realize,it’s time to stop breeding her,and just let her enjoy her retirement. This dignosis could have been fatal to her as well..
She’s lost 2 babies now, a horrible accident with Princess Z, Coz is retired,with a new career. I don’t think Zirconic has done much on the track. but having babies, let alone a champion is most likely not in the cards for her. It’s not fair to her, to keep breeding her over and over again, trying this stallion or that stallion.. They should take into account, and realize, another pregnancy could kill her,but why take that chance? So many people love Queen Z. They love being around this wonderful mare,and she clearly seems to love her people very much. I hope her owners will now see that her having champions on the track is not meant to be. Coz is beautiful,and doing awesome,enjoying a new family,new career,with his new”girl”. So sorry to all involved I the loss of your goal . Happy to hear that Zennie is doing well , and I for one look forward to hopefully seeing more foals in her future . Please know how much we all love her , and we do know that you always have her best interests at heart . Don’t listen to those on here that provide an opinion that most certainly lacks merit . Take good care…our faith in you and Zenyatta will never waver . Thank you for sharing her with all of her devoted fans . Why don’t they harvest her eggs, inseminate and then implant in surrogate mares like other barns have done? It is with great sadness that I read this-I was hoping that the rumors were not true, as were we all. Please know that my thoughts and prayers are with all of Team Z and Lane’s End, and with Zenyatta herself. While we never know why such tragedies happen in life, we can find comfort in the fact that Zenyatta is doing well, and her foal is now with it’s brother and sister, over the Rainbow Bridge; running and playing and eating green grass in the warm sunshine. Thank you for allowing us in Zenyatta’s life, through both the happiness and the sadness. Very sorry to see this news about Zenyatta’s 2018 foal, but also glad she’s ok and moving on. Thanks for keeping is in touch – no horse could ever be as loved by so many. Zenyatta is all right. That is the most important thing. Please let her really retire now. She deserves it. Everyone just wants to see her happy and well. So very sad to hear this news. I hope and pray that Zenyatta is well she looks wonderful and maybe will foal again in the near future. Love her sooo much! I think it is time to give Zenyatta a year or 2 off from being pregnant. She can have more foals, she is still relatively young. But this is a red flag to give her a rest if I ever saw one! This infection could have been much more serious-she could have gotten lamanititis and then she would have been in real serious trouble. I have high hopes for her yearling filly and I hope she turns out to be a Champion runner like her Mom. But lets face it, her sons have turned out to be less then stellar racehorses. Maybe Zinconic would do better with Bob Baffert as his trainer., Just a suggestion…..
How about letting this beautiful mare retire from breeding all together. She has certainly earned it. At some point enough is enough for this beautiful mare. Hopefully we won’t have to read this same story again about her. I understand it’s a sport but it’s also about humanity and letting this girl live out the rest of her life in peace. So sorry to hear. Maybe she should be given a break for a year. Hope she is taken good care of for the rest of her life. She really deserves it!!! To Linda Shull ~ Without a doubt, Zenyatta will be given the best of care for the rest of her life. She is blessed to be in the care and hands of people who truly love her. I am so sorry to hear this sad news. Glad to hear Zenyatta is doing well! I mourn with Zenyatta and her family on the loss of another baby. It is troubling to hear so many opinions and strong suggestions from heart-broken fans. I feel sad for all those mourning for Zenyatta’s lost foal, and I feel very sad, too. Zenyatta has been–for so many–a great ambassador, inspiration, and therapist. I hope she has a long, wonderful life, whatever the Mosses decide for her. But it’s ok that god didn’t save the foal? So Sad to hear Z. aborted her foal. Everything Roberta said in her post of May 11, 2018, I am in total agreement with. It is time to stop hoping for a champion son or daughter out of Zenyatta. It is time to let this sweet and kind horse start enjoying full retirement. RIP Act of Valour who has died after a horrible fall at Haydock.He was out of a US mare Event of the Year and trained by Paul Nicholls.The look of devastation on Bryony Frost’s face says it all really.He was just 4yrs old.Sleep tight cariad bach. Congratulations to Hayley Turner for winning the Victoria Cup on David Elsworth’s Ripp Orff 27runners. Shouldn’t you be posting stuff that relates to Zenyatta? I never understand your posts and what they have to do with this forum. Sorry don’t mean to be unkind but it just makes no sense to me. If you need to communicate with other forum members about other subjects perhaps you should do so on another forum related to the things you post. Good for you Trillian- well put. Zenyatta’s website has turned into a chat room about meaningless crap that in no way relates to Zenyatta or her family. breaking as the loss of Z18 is, please everyone move on, move forward with love and positive energy. As the pictures, show, Zenyatta looks healthy and happy. She is a gift and I have faith that a bright future lies ahead for her. Heartfelt condolences to everyone who loves and cares for Zenyatta. The most important thing now is that Z is happy and healthy. Thank you, Team Z, for sharing this sad, sad news with all of us out here in cyberspace. We can’t express enough our gratitude that you continue to keep us informed, year in, year out, good news and bad, about our beloved Big Girl. love her. It is crystal clear that she is in excellent care. Thanks yet again to Alys, we can see that Zenny is healthy and happy back in the paddock with her BFFs. 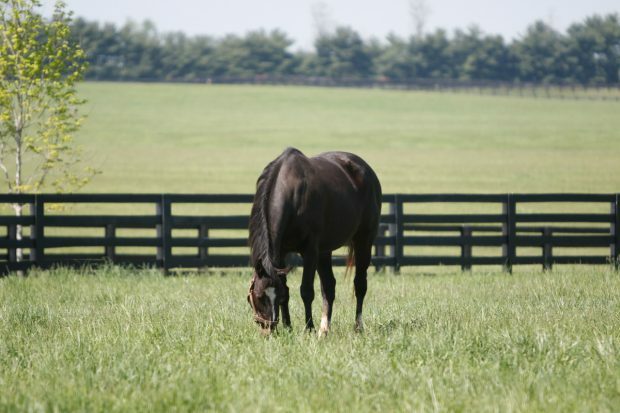 Please continue to let us, the adoring fans, sneak a peek at the idyllic retirement of the most loved champion thoroughbred racemare in the world! I know this must be so hard for you since you have spent so much time with Zenyatta and taken so many beautiful pictures. We fans grieve for her loss of the baby but it must be so many times more sad for those who are with her day to day. Thank you for the photos and the information. We look forward to pics of her and her friend. I recently got invited to speak at a casual event, just an opportunity for women in a particular city to come together for an evening of conversation and connection. And, yes, of course dessert. Even so, at the last minute I still considered giving in to my fear. Letting someone else do it. Handing the microphone right over. But then I remembered one little phrase: you’re not the only one. You see, I had been telling myself that the other women at the event would have it all together. Their hair would be freshly highlighted, lip gloss perfectly applied, and their lives (as well as kitchen cabinets) would be in proper order. They would show up overflowing with good cheer and never once think about hiding behind the cupcake tower. Unlike me. Thankfully, Jesus had been showing me that we are all more alike than different. We are all broken. We are all beautiful. We are all in need of grace. We are all glory reflectors. We are the paradox people. You’re not the only one who has struggled with an addiction. You’re not the only one whose heart has been shattered by a divorce. You’re not the only one who is worried no one will like you. You’re not the only one who wonders if God is still listening. You’re not the only one who desperately needs a night away from dirty laundry and loud children. This is what community means—it’s saying even if the specifics of our lives and stories are different, we both understand what it means to be human and we choose to do that with each other rather than apart. I also share that I’ve begun saying “You’re not the only one” in another way too. I have said it to myself with capital letters, “You’re not the Only One.” In other words, “You’re not Jesus.” Last time I checked no one else on the planet is either. This is excellent news because it means we don’t have to save the world. We don’t have to be perfect. We don’t have to take care of everything and everyone all the time. There is only One who can do those things, and he’s quite good at them. It also means there is Only One who is truly deserving of our glory and our honor and our praise. Our lives are not about us. They are about Him. Yes and amen. I eventually step on the stage to hug necks and, of course, find the coffee and cupcakes again. The frosting alone is worth not letting the lies and fears win. So just in case we’re facing something hard or scary in our lives today, I’ll whisper the truth one more time: you’re not the only one. And the only One who can do the impossible is always with us. We’ve got each other too, the whole unseen sisterhood stretched out through history—an imperfect and unstoppable force. I’m relieved that Zenny is ok. Thanks for the updates Team Z. Sue, so beautifully written. Thank you for the reminder! After all that’s happened with Zenyatta’s pregnancies I seriously wonder if using this amazing horse as a broodmare is in her best interest. She has given her all in her prolific racing career and has given her fans and owners some of the greatest memories in horse racing. To lose or hurt her either in foal or giving birth is to disrespect all she has accomplished and shared with the world. It would be wonderful to see her happy and running in a field instead of waiting for and watching her in pregnancy. When Mike Smith said no horse was good enough for her after her racing career, he was right in more ways than one. So sorry to hear Zenyatta’s miscarriage. I cannot remember to whom she was bred in 2017. Please remind me. How is 17 Z doing and also how is Ziconic doing? Thank you for this information. Praying for Zenny and her team.